A Brazilian special in a bite size tray and topped with the finest vegan chocolate. 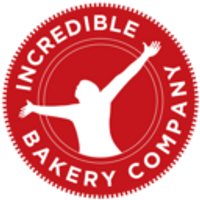 Made in the Incredible Bakery in Warkton, Northamptonshire that does not use any of the 14 common food allergens defined by EC Regulations. Ingredients: Water, White Rice Flour, Brown Rice Flour, Tapioca Starch, Corn Starch, Buckwheat Flour, Unrefined Sugar, Carrots (10%), Choco Chips (cocoa [cocoa butter, cocoa mass], sugar, rice powder, sunflower lecithin [emulsifier] and natural flavouring), stabiliser: xanthan gum, baking powder: mono calcium phosphate, corn starch, sodium bicarbonate. Shipping: All website orders are subject to a flat £3 shipping charge. This is a delicious carrot cake with chocolate chips, moist, tasty and highly addictive!